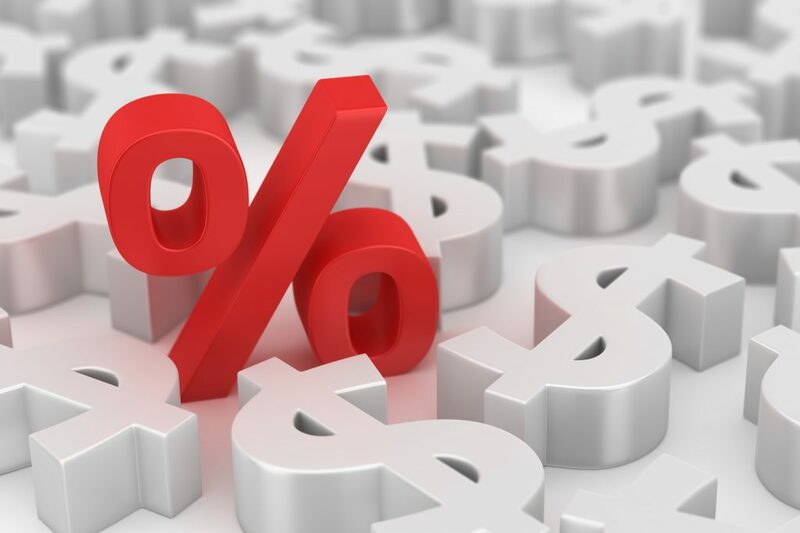 The interest rate is a percentage charged as compensation on the cost of borrowing by a lender to a borrower. A central bank is responsible for formulating a country’s monetary policy and regulation. One of the ways is by controlling the benchmark of interest rate. They can adjust the interest rate to balance the economic status of the nation. But why a simple action on the rate adjusting can make a massive effect on the country economy and even the impact of US’s rate adjustment can swing the world? US increased their interest rate several times in these few years in preparation for higher inflation, indicating the economy in fast recovery mode and worldwide investors turn their money to the US market to avoid missing the train. How does the interest rates work? When the economy is in recession, the central bank will lower the borrowing cost by reducing the interest rates. Hence, consumers are willing to make big purchases, such as houses and cars. For a businessman, this is perfect timing to borrow money in expanding their business and buying more equipment. Therefore, the output and productivity of an economy increased, and the stock market will also show a bullish sign as most industries will be expected to grow. When the rate is deemed high, the cost of borrowing will become more expensive. Economist suggests that this is a time that the consumer spending will be moderate due to higher borrowing cost, so it is a way to slow down an overheated economy. But it will send a signal that the economy will start to normalise, translate to business will no longer growing exponentially in the foreseeable future. The investor will begin to pull back the money from the market and put it in a bond for a more stable return. Economy takes place in a cycle. When the economy was in a downturn, economists suggested lowering the interest rate to stimulate a sluggish economy. The interest rate is a catalyst for the economy because it affects people’s decision whether to save more or spend more, which helps to achieve the overall economic situation. Therefore, economists pay a vital role at this moment; they need to observe the economy and identify the timing of raising interest rates. However, an economic cycle cannot depend only the monetary policy; consumers behaviour is the core contributor to an economy. The subprime crisis is the exact example, the ratio of household debt to disposable personal income in the US rose from 77% in 1990 to 127% by the end of 2007. The situation has shown the market was overheated. Federal Reserve had raised the interest rate from 2.25% to 5.25% in the year 2004 to 2006. But, the situation has failed to calm down and then the bubble burst. In the Dot-com bubble in 2000, Hong Kong’s interest rate had declared up to 13.35% to entice an investor to stay invested in the economy. Sadly, the action deems too late and not enough to stop the crisis happened. What will happen when the interest rate adjusted? When a country announced an adjustment on the interest rate, there is indeed a level of hot money flows occur. Hot money refers to the short-term capital which will flow to countries with higher interest rates. The higher the level of hot money within a state, the more severe the effect will suffer for the economy when hot money flows out. For example, companies and investors are more likely to park their capital into U.S. banks as the Federal Reserve engages in a series of interest rate hikes in 2018. When the foreign investment went out from Malaysia, our market will suffer a drop and value depreciated as low demand. An increase in interest rates may lead to a currency appreciation due the economy is on an upward path and Investor tends to invest in good economy. Hence, the currency will appreciate when the money outflow lesser than inflow in the country. However, currency appreciating is not that welcoming by export-domain country. When the currency increased, the exports become less competitive, and purchaser side will incur higher cost. Hence, the purchaser may try to change their supplier from another lower currency country to get cheaper cost. An adjustment in interest rate can indirectly affect the inflation rate. As a higher interest rate can slow down economic spending growth to take some of the edges off of rising inflation. Vice versa, when the interest rates in a low period, more people tend to spend more and aggregate demand increased. Hence, causing the economy grows, follow with the increase of inflation. Adjustment in interest rates will have significant impact on property buying. Due to the house mortgage loan is a long term loan, a small increase in the interest rate can result in a substantial amount differing in total payment. There is no specific answer whether it is good or bad in adjusting interest rate as there is no one size fits all. However, interest rate adjusting is still significant and is a MUST-do action to approach a normal economic cycle. Balancing is essential to achieve long-term sustainability. As a consumer, we need to control our spending in every phase; as an investor, we must adjust our portfolio in every period to maximise our profit and minimise our loss. Written by Evelyn Yong | 16 January 2019. Due to the high liquidity and low cost of trading, a lot of investors will opt to trade in derivatives market especially Futures Crude Palm Oil. FCPO is one of the popular derivatives traded in Bursa Malaysia market, and most of the traders are focusing on technical analysis and market news or arbitraging. However, the fundamental part should not be neglect as it can be a decisive factor to determine the market trend as well. The plantation of Palm Oil Tree follows their specific season and period. The whole process from planting to harvesting takes up to 4 years, and the lifespan of the tree can be up to 25 years. Palm Oil Tree requires warm weather with high humidity environment to grow up healthily as too much rainfall could flood the plantations and hamper the harvesting and dry spell would affect the plants’ growth thus lowering the production. For example, the El Nino effect influenced Malaysia’s palm oil yield in 2016. The production dropped to 3.12 tonnes per hectares which the lowest of these years (average 3.7 and above). Hence, drought or flood season can affect the yield of palm oil which the lower the production translate to a higher the palm oil price in the market. The festive season can increase the demand for oil. For example, Chinese buys for the Lunar New Year holidays, Indian buys for Deepavali while Pakistan, Bangladesh and Middle East countries buy for Eid. People use it for the religious praying purpose. With the high demand for oil use, the price will increase too. Other than the festive season, China, India and Europe are among the largest importers of palm oil. While crisis arises in those countries like eurozone debt crisis, slowing food demand and global economic downturn, it can lead to a decrease in demand for palm oil. The consequences can cause the supply more than demand which can lower the palm oil price. On the other hand, the short of labour on harvesting the palm fruit will affect the supply to the market too. Recently, nearly 70% of the palm industry’s workforce has extended their holiday and delaying the palm fruit harvest. There is expected a 5% to 8% drop in production due to losses of overripe fruit. 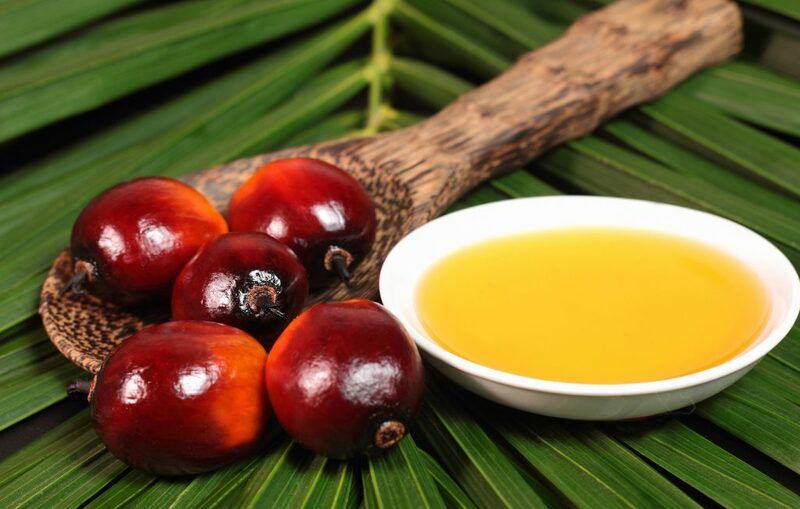 Harvest the palm fruit on time can make sure the quality of palm oil and also avoid the production overcapacity or lack of supply which can affect the price. The production of palm oil in Malaysia and Indonesia has taken up around 90% of the supply to the world. Malaysia is currently the second largest palm oil exporter in the world who is surpassing by Indonesia in 2006. Indonesia expects to double their production by the end of 2030. While Indonesia keeps increasing the output, it can cause the price decrease, and the profit margin of Malaysia can be affected. Or there might be another situation is if Indonesia can supply most of the demanders in the market and with better tariff rate, Malaysia will lose our competitive ability or been forced to sell at a lower price. The price of palm oil can be affected by other vegetable oils like sunflower oil, rapeseed oil, corn oil and especially soybean oil. When the bad weather falls on the soybean plantation, it can help in increasing palm oil prices. US, Brasil and Argentina are soybean producer countries, once their oil supply is below the market needs, palm oil will be the substitution. Other than that, China is a world biggest oil-import country, when those countries have a massive production on vegetable oil like early of this year which had lower down the price of vegetable oils, China has tended to import vegetable oil instead of palm oil. The data has shown that China might break their record on the amount of vegetable oil importation. Hence, there is an inverted relationship between the vegetable oil and palm oil. Malaysia relies on exporting to build up the country’s economy. Hence, to hit the GDP higher government may lower down the tax rate to help in strengthening the exports and reduce the inventory level. This action can make the liquidity if the market higher which is more favourable to traders. Besides, the tariff issue of the importing countries can suffer the palm oil producer. India is the world second largest oil-import country, and they rely on imports for 70% of its edible oil consumption. Early of this year, they had raised their import duty on crude and refined palm oil to the highest level in more than a decade which up to 54% to protect their local farmers. With this action implemented, it has forced a palm oil producer country to compete with local farmers in business. Australia had proposed a bill of enforcing labelling palm oil as a product ingredient instead of vegetable oil. It was due to boycott as they believe palm oil plantations have contributed to deforestation. With the lower demand for palm oil-based products, therefore, affecting the palm oil price to go lower. FCPO trading should not only focus on technical trade as the fundamental factors can affect the price trend. Other than the factors listed above, there is still another factor like Ringgit exchange rate. A fall in the Ringgit makes the price attractive to foreign buyers and therefore increased demand from them will raise the FCPO price. Hence, FCPO traders should not only focus on the chart but more on the essential factors of the palm oil. 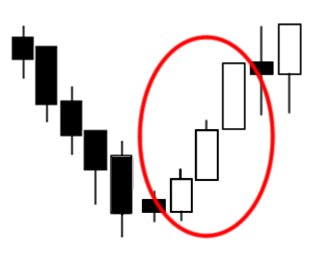 Bearish candlesticks are probably the most important things we have to learn in candlestick pattern analysis. Every candlestick is delivering a unique and important message to us whether there is a selling or buying point. The tug war between bulls and bears will influence and decides the market. 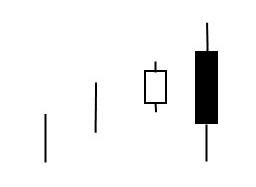 There are many different forms, patterns and size for a bearish candlestick. Let’s us look at these few common types of bearish candlesticks. 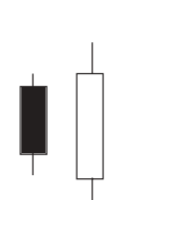 The bearish engulfing pattern consists of a white candle, followed by a long black candle, mark by the first candle of upward momentum being overtaken or engulfed by a larger secondary black candle. Before the Bearish Engulfing patterns occur, there are a bull controls which creates a definite of the uptrend. They will continue to push upwards during the crucial period. The second black candlestick formed when there is early buying pressure causes the security to open above the previous close, and the seller steps in and drive the price down, and the candle closes lower than the last. The signal conveys a very drastic change in investor sentiment which allows investors to predict that a reversal on the horizon. When the bearish engulfing pattern is present, investors who will focus on short-term gains may choose to sell the due to changes of sentiment. In Japanese term, “Harami” means pregnant, which means that the second candle determines the pattern of potency. The smaller the candle may have the higher the chance of reversal to occur. Bearish Harami formed at the end of an uptrend. It starts to develop with a relatively long white candle, followed by a relatively small black candle which is engulfing by the previous candle. This formation is showing that the buying momentum is weakening. Bearish Tri Star pattern is a scarce reversal pattern which appears in the market that dominant in an uptrend and comprises by three Dojis candlestick. The first Doji always occurs in the uptrend which reveals that the market is indecision between buyers and sellers. The second body of Doji is higher than the previous Doji which emphasised more uncertainty, while the third Doji’s body is gap downward indicates that bears will soon to take over the control. These three Dojis strongly suggests that the trend is about to change. Three Black Crows is a moderate trend of a bearish reversal pattern. It consists of three large consecutive long-bodied black candles. 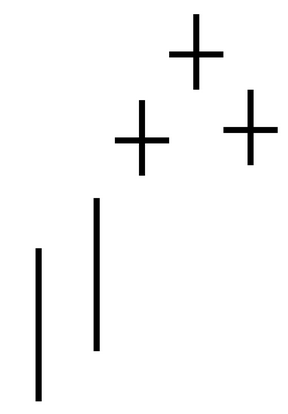 Each candle will be opened below the previous open and close progressively downwards than the same preceding candle. There should also be a little or no wicks formed on the candles. Three Black Crows is an indicator that used to determine the weakness in an established uptrend and potential emergence of the downtrend. Therefore, when this happened in the uptrend, the negative market sentiment will push the price downwards, and this strong reversal will confirm that the upward price movement has ended. However, if the three candlesticks are overextended and make significant price declines, it could get into oversold territory. 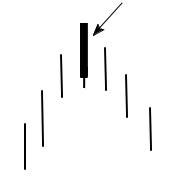 Bearish Belt Hold is a bearish reversal candlestick pattern. 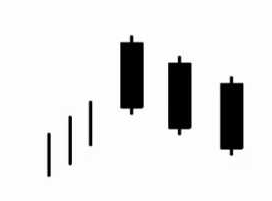 This candlestick pattern is straightforward to identify because it is formed by a single candlestick which is also known as Black Opening Marubozu that no upper shadow but with a small lower shadow. 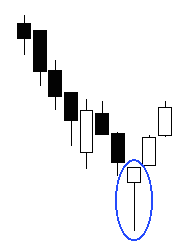 This candlestick is always appearing after the stretch of the bullish candlestick. The opening price begins to decline against the overall trend of the market. It will eventually stop and close near to the low by leaving a small shadow at the bottom of the candle and formed a bearish candlestick. The longer the candle is, the more powerful and more significant it is. This candle should confirm by a bearish candlestick that developed in the next session. Reading technical chart is essential knowledge to all investors. It helps every type of investors, both of short-term or long-term to take action accordingly to their strategies. Bearish candlesticks provide useful indications for short-term investor, and it helps long-term investors to buy relevant stocks at a lower better entry. Candlestick charts are perhaps the most popular financial chart which assists investors to predict the price movement of their securities. Swing traders have internationally used it to understand how the price of the stock has changed over a specified period. There are dozens of bullish reversal candlestick patterns and this time we will focus on few popular bullish candlestick patterns. Bullish Abandoned Baby is a type of candlestick which use by technical analyst to signal a reversal in the current trend. It can also be known as a rare form of morning Doji star. There are three distinct of candlesticks to make up this bullish abandoned baby. The first candle will be the red candle which located in a downtrend, followed by a Doji. There is a gap below the two adjacent candle shadows. The following candle will be a white candle which uses to indicate the strong bullish sentiment. 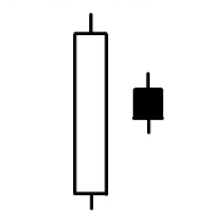 Bullish Engulfing Candlestick chart formed when there is a large white candlestick fully cover the smaller previous black candlestick without regards to the length of the tails shadow. This type of candlestick will usually happen during a downtrend, found some support or buying volume, and then it will be made a bullish move back up by breaking the previous day’s high. It will be indicating that there is a potential reversal and it is also the signal of the beginning of a bullish trend in the security. When there is a bullish engulfing candle form at the end of a downtrend, the reversal is much more powerful as this will represent a capitulation bottom. The lows of the candle should be the lows of the downtrend. There shall precede by a minimum of 4 consecutive lower low candles which should close near to the candle highs before the bullish engulfing candle. Three White Soldiers pattern consist of three consecutive large bullish candles that open within the previous candle’s real body and close that exceeds the last candle’s high. 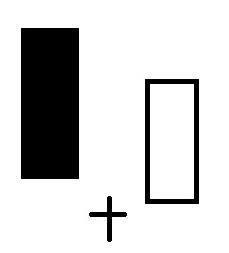 There is no gap between the candles, and do not have very long shadows open within the real body of the other candle. When this frenzy buying continues third days, three white candles will be formed side by side with higher highs and higher lows. It signifies that the increased in the momentum in the ongoing of bullish phase. Hammer candlestick is just made up of only one candle and it may occur at the bottom of a downtrend. The candle looks like a hammer with an extended lower wick and short body at the top which is a sign of the sellers are driving the prices lower during the trading session and followed by strong buying pressure to end up market close higher or near to opening price. A Morning Doji Star is formed when the first candlestick is a long and bearish black candle, followed by a Doji that gapped below it, and then the third candle will be a white candle. If the penetration of the third candle is over 50%, it will be indicating that this pattern has much higher success rate. Morning Doji Star is a strong bullish price reversal candlestick pattern which appears at the end of a downtrend which will turn the current downtrend into the upwards direction. 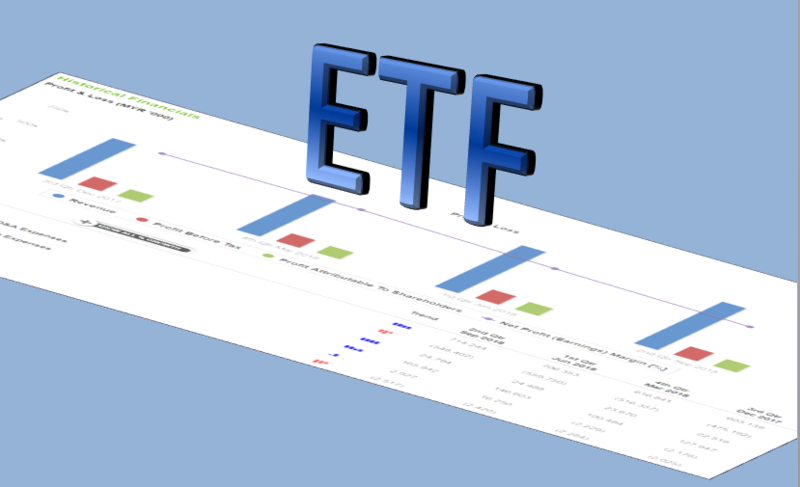 While fundamental analysis helps investors to select the potential stocks, the technical analysis allows investors to determine when is the best time to buy and sell. Candlesticks pattern are an excellent way to read the current market sentiment. Combination of both pieces of knowledge will significantly help investors to survive in the volatile market. 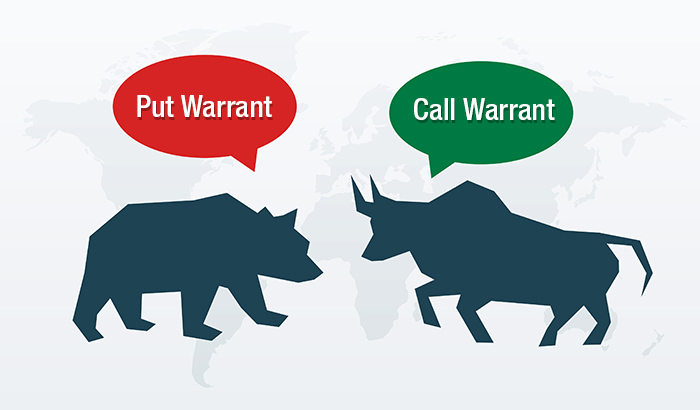 A warrant is a security that gives holders confers the right, but not the obligation to buy or sell a specific underlying asset at an agreed price (strike price) on the expiry date. The price movement of the warrant is usually much greater than the underlying share. Hence, investors may expose themselves in higher volatility price movement due to leveraging positions in warrants. There are 2 exercise styles for warrants, American style and European style. An American style warrant can be exercised at any time within the period before the expiration date, while European style warrant can only be exercised on the day of the expiration date. In Malaysia, we only practice the American style of warrants. There is 2 type of warrant traded in Malaysia, which are company warrant and a structured warrant. Company warrant also called as a stock warrant. It is issued by the listed company itself to raise money. It gives you the right to purchase a company’s stock at a specific price within the contract period. Once holders choose to exercise the warrants, new shares will be issued by the company for the transaction. The validity period for company warrant can up to 10 years and determined by the issuance company. Once new shares were issued, the total company shares will increase and earning per share will be reduced. This situation makes existing stockholder owns a smaller or diluted percentage of the company. Issuing warrants can help to lower down the financing cost for the company(as raise capital through issuing instead of borrowing) as well as secure the additional capital if the stock does well. Company warrant can be found in Bursa market with the stock code followed by –WA or WB or WC. ‘W’ stands for the representative code of company warrant while the ‘A/B/C’ is the series of the warrants issued and it can up to ‘Z’ depends on the company issuance. A company warrant price is usually lower than its mother share price and has listed the conversion ratio for exchanging into 1 share. The said of buying warrant can be volatile mostly due to the gearing ratio. When the gearing ratio is high, it will reflect higher changes on the warrant when the price of mother share is increasing or decreasing. When investors expect there is appreciation on company future value, they will purchase the company warrant which is lower cost at the same time minimises the loss if the share price drop. The structured warrant also named as an exchange-traded option or stock option and issued by financial institutions. The structured warrant settlement is in cash and does not involve any mother share. In Malaysia, there are 6 licensed issuers which are AmBank Berhad, CIMB Bank Berhad, Kenanga Investment Bank Berhad, Maybank Investment Bank Berhad, Macquarie Capital Securities (Malaysia) Sdn Bhd and RHB Investment Bank. The objective of having a structured warrant is to create the capital liquidity in the market as the price of the warrant is just a fraction of its underlying share. The issuer aims to make a profit on the risk management of the warrants sold, in doing so they also take on risk. When issuers sell warrants, they will buy shares or other derivatives to hedge their positions and attempt to capture a margin spread regardless the share price goes up or down. Structured warrant separated into call warrant and put warrant. A call warrant gives the right but not obligation to buy the underlying asset at the fixed exercise price within the limited period of time. It will increase in value when the price of the underlying asset goes up due to the gearing ratio effect. If the settlement price of the underlying is above the strike price at expiry, the call warrant is deemed to be “in-the-money” (profit) and the holder will receive a cash payment. Otherwise, the warrant will expire worthless. Put warrant gives the right but not obligation to sell the underlying asset at the fixed exercise price within a limited period. The value of put warrant will increase when the price of the underlying asset goes down. Put warrant price will inversely differ from the movement of the underlying asset. When the settlement price of the underlying is below the strike price at expiry, the put warrant is deemed to be “in-the-money” and the holder will receive a cash payment. Otherwise, the warrant will expire worthless too. So the value of the structured warrant will be much valuable when in longer maturity date compare to shorter validity, which deemed to have a higher risk. Below illustrated the different company warrant and a structured warrant. Written by Evelyn Yong | 13 June 2018. When you begin investing in stock, it’s important to understand how you might lose money if you not careful enough by making some common mistake. Investors must know how to seek vital information and be sharp minded to reduce the risk of failed investment. Here are the few common mistakes that investors should watch out. 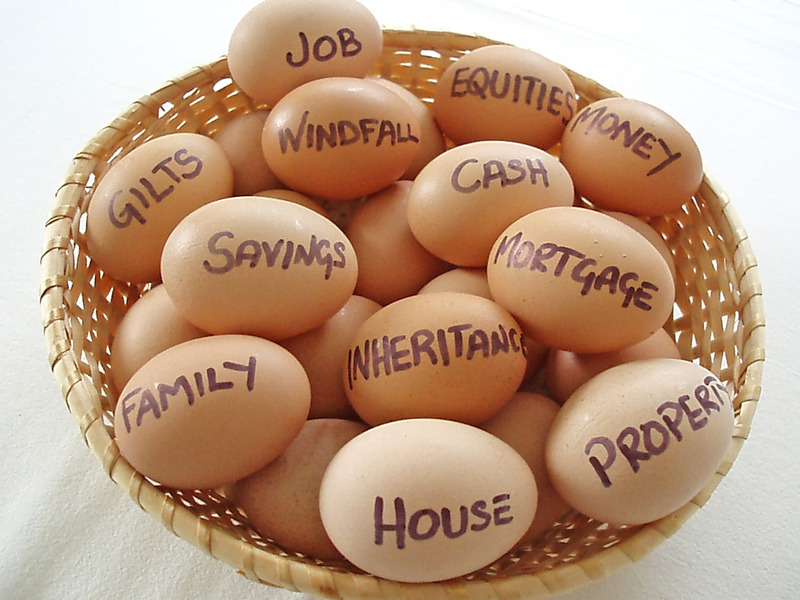 As what Warren Buffet said, investors should not put all eggs in one basket; they should diversify their portfolio to spread out the investment risk. However, investors may over-diversified and under-diversified their shares portfolio. Over-diversification may result in retail investors lose tracks of their investment efficiency by diversifying into such as stock, futures, commodities, bonds and so on. As a result, any profit makes from the specific investment will be quickly written off by other non-performing investment. 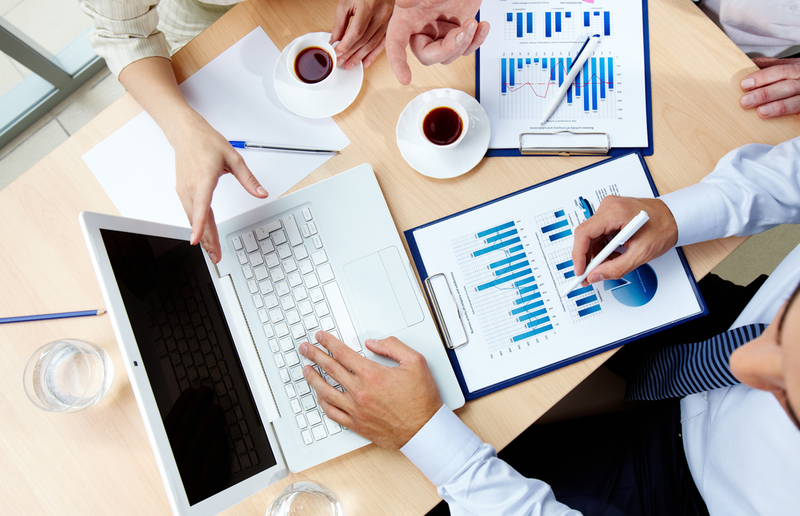 However, it can multiple investment portfolios can be managed together with a dedicated team of the fund manager. On the other hand, if the investor was under-diversified, which he may only invest in one or two stock at the same time, his portfolio will become highly sensitive to the fluctuation the stock pricing due to the short-term market uncertainties. For another reason, if the investors concentrated only on one investment class such as bonds, he might not enjoy the opportunities arising from other asset classes such as equities when it happens. Commonly there are two types of emotions that influence most of the retail investors. They are none other than the sense of greed and fear. 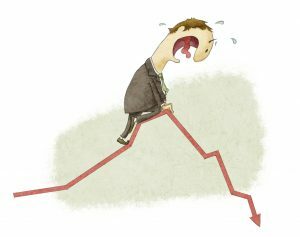 Investors may quickly catch by fear when the share prices dropped drastically in short period. They will lose their rational and make wrong judgments by disposing good investment on hand at the wrong time. These will cause them suffer a loss on the capital over an extended period. While the market is bullish, the majority of the retail investors may turn greedy so FOMO (fear of missing out) will kick in, and they will chase to buy particular hot trending stock even though the shares are way overvalued. These will cause their capital easily locked up at peak price for an extended period. Just as what Warren Buffet said, “When Investors sell on fear; it will drive a stock price down. Likewise, when they buy on greed, it will drive the stock price up in short-term.” Investors should invest based on the reliable information tools, instead driven by emotion. Another common mistake made by retail investors is lack of investment knowledge. These group of people wish to earn quick profit from investment but lazy to learn a new skill. They do not know where to set the cut-loss point and also target profit. They more willing follow blindly what the analysts and experts said without doing own analysis. Most of the analyst report was for long-term investment period so it will be irrelevant for retail investors to look at it and try to make a quick bet based on the analysis report. Therefore, investors should know how to establish an entry and exit strategy which can help them to make better and quicker decision. Analysis research on the stocks is essential as it tells the better story inside the company. 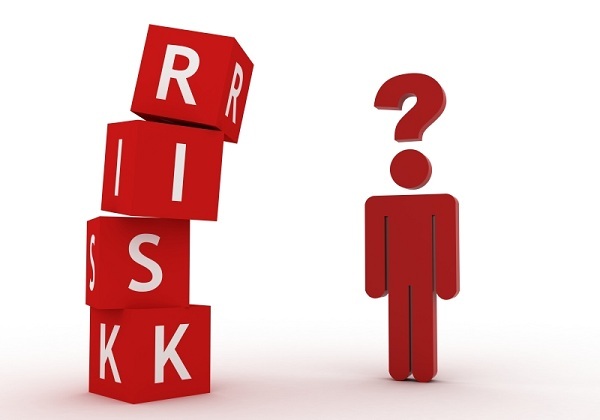 As what Warren Buffet said, “Risk comes from not knowing what you are doing”. Investors should study how well the company is operating, where the fund of the company investing and the company’s objective which will give us the insights of the company future and gauge the risk. Investors should always look at the business potential and prospect of the company to make their own investment decision. In conclusion, investors should always keep all these factors in mind as a lesson so you can make a right investment decision in future. Discipline is the key to success, be patient and look at the long-term gains instead of short-term profit. As what Warren Buffet said, “The stock market is a device for transferring money from the impatient to the patient.” Therefore, investors must invest smarter with patience to grow their money. Written by Stella Goh | 7 May 2018. Fundamental analysis is a method to analyse a business by getting more understanding of a company background business and their future direction. It will be including examining the annual reports and financial statements, using some of the simplified calculation to gauge the effectiveness of the company. The current ratio (also known as liquidity ratio) is a ratio which used to measure the ability of a company to pay off their debts and obligations (debts and account payables) by using its assets (cash, marketable securities, inventory, and account receivables). The current ratio divides current assets by its current liabilities to come up with a value which indicates the company’s ability to cover its debts and obligations. For examples, a current ratio of 4 means the company has four times more current assets than current liabilities. Therefore, it indicates that the companies have more to than enough asset to pay off their debts without needing to sell off their long-term asset. Which mean a company that has a current ratio of 1 or more should not face any liquidity problem. The higher it is, the better the company liquidity. However, the high current ratio may also suggest that the company is not using the current assets efficiently since extra cash can be used to reduce debts interests or reinvest in the business. You may make a comparison of the current ratio with the companies in similar industries but not with different sector due to a different operating method in various business. The price to earnings ratio is one of the most widely used. Also known as market prospect ratio which calculated as the market price of a stock’s share divided by earnings per share to find out the value of investors is willing to shell out for each dollar of a company’s earning. In other words, PE ratio helps investors to analyse how much the stocks worth based on current earnings. This ratio is beneficial to evaluate what is the stock’s fair market value should be by predicting the future earnings per shares. High PE ratio indicates that the market participants are bullish on the stock and they have an expectation on the company to post their higher earnings growth going forward. However, high PE ratio may also a signal that the overvalued stock and a lower PE ratio suggests the vice versa. Besides, when a company does not have any earnings or is posting losses, the PE can be expressed as N/A, so it is possible to get a negative PE ratio. The PE ratio may compare with its peers having parallel and must always relative to the company’s position in the life cycle and relative to its peers in the same industry and the market as a whole. For examples, new companies may have higher PE ratio if they have high growth of prospect since their current earnings are minimal but they spend more money to grow. Price-to-Book Ratio (also known as a market-to-book ratio) is a ratio which used to compare the stock’s market price value to its book value. This ratio calculated by dividing the company’s current share price by its book value of equity. This ratio also gives some idea of whether you’re paying too much for what would be left if the company went bankrupt immediately. Price-to-book ratio helps investors for reality check who are seeking for growth at reasonable price. A high PB ratio indicates that there will be a robust future expectation of earnings due to the perceived growth opportunities and some competitive advantages. It was due to the company has been earning a very high return on its assets. However, the high the PB ratio also indicates that the share price overvalued. The intangible assets in Price-to-book ratio shall be excluded to avoid the calculation the price-to-book ratio to be misleading. Low PB ratio could mean that the stock is undervalued. However, under certain circumstances of financial distress, bankruptcy or expected plunges in earnings power, a company’s P/B ratio can be dive below one due to the accounting principles do not recognise the brand value and other tangible assets. The standard overall debt-to-equity ratio can be a more reliable indicator of the financial viability of a business since it includes all the short-term debts. This ratio can help a firm to plan for asset financing and to the extent whether shareholder’s equity able fulfil the obligations to the creditors in the event of loss from the business. A financial healthy company’s leverage shall be higher when total debt to equity ratio is high due to the company must meet their principal and interest on its obligations. Therefore, the companies with high debt to equity ratios might look riskier due to their liabilities more than equity. Some of the potential creditors may be reluctant to give financing to a company with high debts position. However, the magnitude of the debts should depend on the type of business. For examples, based on ordinary circumstances most of the bank’s debt to equity ratio will be considered risky, but due to their assets generated are very liquid, their ability to pay the debt will much better than the rest. For the second example, a utility sector company can afford a higher ratio than a manufacturer company due to utility company had more stable and consistent earnings. Time interest earned ratio (also known as interest coverage ratio), is a ratio which used to measure how much of the proportionate income can be used to cover the interest expenses in the future. This ratio also can be considered as solvency ratio because it used to measure a firm’s ability to make for interest and debt payments. These payments are treated as fixed expenses because the interest payments set on a long-term basis. Therefore, if the company could not make payments, the company may go into bankruptcy or to ceased to operate. The time interest ratio stated in numbers as opposed to a percentage. A ratio of 4 times indicates that the company has made enough income to pay for its total interest expenses over four times. Most of the creditors favour this type of company because of their ability to pay interest when it’s due. To be advised that ratios measuring may indicate the effectiveness of the company management to deal with day to day operation but does not indicate the future stock price movement. You may be advised to use other information or strategies such as technical analysis or some qualitative metrics such as management quality. Written by Stella Goh | 14 March 2018. There’s a lot of good and bad company out there that you can invest so diversify your stock portfolio in order to diversify your risk. You may listen to some tips given but you must do your own research as well before you start investing in that stock. Most people failed because they quit learning and blame the market when they are losing, they also had a tendency to risk everything and thought nothing can be wrong when they are in winning streak. Nothing is guaranteed in future, so learn how to invest, make your own decision and diversify.